How would you feel if you woke up one morning, turned on the television and saw a news report saying, “As of today, the last dog on Earth has died.”? You’d probably start laughing and switch the news station, but what if it was true? What about cats? or horses? What about your favorite animal? Well, things like this really do happen, but most of the time, not as quickly as in just one day. This process is called extinction. You may be thinking: What is extinction anyway, and how does it happen? The word extinction means “To die out, or eliminate.” An animal species has become extinct when the last living member of that species has died. So many species have died out that they are impossible to count. It could happen to any creature, at any time. Animals become extinct for some very basic reasons. 1st. People take over land that they would naturally use. 2nd. People hunt certain animals too much. 3rd. Animals are introduced into a new area and compete with the native fauna. And 4th. Climate can change and they cannot handle the new conditions. Some of these extinct creatures were really amazing. One that I find interesting is the Tasmanian Tiger. It became extinct in 1936 due to extremely too much hunting and competition for food with wild dogs which were introduced to Tasmania by European settlers. 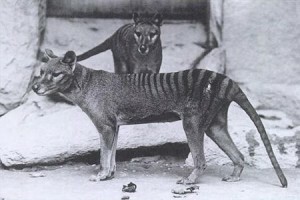 The Tasmanian Tiger looked like a striped dog with a long tail, but was really a marsupial and related to the kangaroo. The last known Tasmanian Tiger died in Hobart Zoo, Tasmania, but some people claim to have seen them since then. Another extinct animal was the Honshu Wolf of Japan, which died out in 1905 and began its decline when rabies was introduced by dogs to the island where they lived. People also had started to remove the forest for farming which took away their habitat. The Honshu Wolf was the smallest known wolf species on Earth. There were Passenger Pigeons, extinct in 1914 due to over-hunting and loss of habitat, and the Dodo, a flightless bird, went extinct in 1662 because of hunting and its fearlessness of humans, making it an easy prey. In the last 600 years alone, 44,000 species of insects have died out. As you can see, when God created the world He gave us many wonderful and amazing creatures. Unfortunately, we have not been the good stewards of His creation that we were intended to be. Some animals are considered extinct in the wild, so this means they only survive in captivity. This is the case with the Hawaiian Crow, Père David’s Deer and the Black Soft-Shell Turtle. Threatened animal species are those that have so few members that without being carefully watched, they could easily become extinct. Two such animal species are the Andean Mountain Cat and the Red Wolf, which has traits of both the Grey Wolf and the Coyote. Though it does not happen often, sometimes people make mistakes and an animal originally thought to be extinct is later rediscovered. This was the case of the Takahē bird of New Zealand, which was considered extinct for fifty years until Geoffrey Orbell re-discovered them in 1948. So, how can you prevent more of God’s creatures from becoming extinct? There should be hunting laws in place so that people don’t lose the very animals they desire to eat. Now, I’m not against hunting. In fact, I think that it’s crucial to some animal’s permanent survival by reducing overcrowding. Also we need to keep national animal reserves and parks to leave a place they can go for refuge as our population encroaches upon their habitats. We must not transport animals to places where they would not naturally be and where they could escape or be let loose. We should keep pollution to a minimum and try to live more naturally in our wonderful world. There are many organizations in place for the purpose of helping threatened animals. One of the most notable is the National Wildlife Federation, which helps conserve threatened wildlife and keeps the environment healthy for animals. There is another organization that is meant specifically for youth and has many programs on how to keep our Earth healthy for humans and animals alike. This organization is 4-H. If you are interested in preventing habitat loss which leads to extinction, you should join the 4-H Environmental/Earth Science program, where youth can learn how to solve environmental issues in the world in an exciting and interactive way. My goal is that you realize how critical it is to honor and respect all of God’s beautiful creatures. Hopefully, there will be no news reports about the extinction of dogs, or any other animals for that matter. You don’t have to be a specialist to help in the war against extinction, and I am sure that from now on, all of us will do our part. Think of all that animals do for us. This is the least we can do for them. A pledge is a vow, an undertaking, a commitment, and definitely not something to be taken lightly. But how often do you think about the 4-H pledge? Every 4-H meeting we begin by pledging our thinking, loyalty, service, and living along with thousands of other youth to a world-wide cause. This cause has already changed the past, and is changing the future right now in our own home towns and across the globe. So, let’s see how you, by taking the 4-H pledge seriously in your life, can make a real impact on your club, community, country, and the entire world. When you say the 4-H pledge, you start by saying “I pledge my head to clearer thinking”. If you have joined 4-H, you are already thinking more clearly, but your commitment doen’t stop there. Throughout the year, 4-H offers incredible opportunities to people just like you and me. When the 4-H year begins, you have the choice to join different clubs and projects. I have been a part of the horse-judging and livestock-judging. I also have shown my goats and chickens in 4-H ever since I was in 4th grade. Showing livestock in 4-H is such a fun way to use your clearer thinking on an everyday basis. From raising the animal, to preparing it for the show ring, and answering questions for the judge, you must use clearer thinking all along. You also may have a chance to be an officer in your club. Just think, being an officer could prepare you for your future career! I have been the recreation leader for my club in the past, and this year I am my club’s Community Service Leader. I am hoping that this position will give me a great opportunity to serve and get to know the people in my community better over the coming year. So, if you get nominated, use clearer thinking and don’t turn down such an amazing opportunity to get real-life experience being a leader. 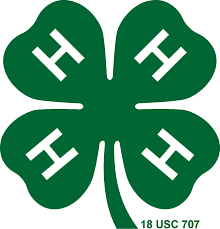 During the rest of the year, 4-H gives you the chance to compete in several different contests. 4-H poster, speech, photo, demonstration, and bread baking are some that I have enjoyed participating in. You also have the opportunity to be a part of the 4-H Honor Club, but club membership can’t be given to just anybody! Only those 4-Hers that have taken the 4-H pledge seriously, and have proved that they are using their clearer thinking by taking an active leadership role in their clubs and communities get awarded with membership. Now that you are using your clearer thinking, you may remember that the next part of the 4-H pledge has to do with your loyalty, and your heart. My heart is loyal to God first, and this helps me to be more loyal to my 4-H club, because God tells me to be honest and respect authority. By pledging your heart to greater loyalty, you are saying that you are committed to being at every club meeting, that you will take an active role in your community, be the best citizen that you can be, and ultimately make the world a better place for everyone. A good way to start making the world a better place right now, and have an active role in your community, is to do service projects. And, what is even better is that you will have a good start on keeping the next part of the 4-H pledge, which has everything to do with pledging your hands to larger service. Doing service projects is one of the most important parts of being a 4-H’er because it gets at the root of what 4-H is all about, helping each other to make a positive change in the world. Whether it is your 4-H leader helping you, you helping another 4-Her, or both of you helping to make a difference in your community, the purpose is still the same. Doing service projects as a club is a great way to gain team-building skills and help you get to know your fellow club members better. In the past, I have worked with my 4-H club to clean the outside of our local Pregnancy Help Center. I also have packed boxes of food for the Second Harvest Food Bank. The food that we packed was given to any residents in our county that needed it. We would load the food right into their vehicle, which allowed us to meet people in our community. This last spring, I brought one of my baby goats to a local nursing home. Most of the residents thought it was a dog or a lamb, and were so surprised and delighted when we told them it was a goat. That little goat gave a lot of smiles all around, and for many of the people, it brought back happy memories of their lives as children growing up on a farm. Sadly, all of these marvelous things would be very hard for you to do if you did not take good care of the health which God has given you. So that is why the next part of the 4-H pledge is dedicated to making sure that all of us 4-Hers pledge our health for better living. The great thing about many of the 4-H projects is that they already encourage you in a healthier direction. If you raise an animal, you certainly will end up stronger and healthier after all the work outside in the fresh air that you will get every day. It is also good for your mental health to have chores to do each day, and the responsibility of animals that rely on you for their care. I know that when I am in a bad mood, and I go do something with my goats, I will be in a much better mindset than I was before. But the best thing of all about seriously applying the 4-H pledge to our lives, is that we will not only make a difference in our club, or in our community, or even in our own country, but we will make a difference in the entire world. And that is what makes 4-H so wonderful. No matter who you are, where you live, or what color your skin is, you can make a lasting difference. I am going to take it seriously, and I hope that you will too! Dogs are one of the amazing animals that God made. They probably all came from two canines who eventually populated the whole Earth and the ones best fit for each place would live. This happened with the dingoes of Australia because the tan ones live on the sand and the dark ones live in the woods. That’s one reason why these wild dogs are so dangerous. There are lots of dogs, and some don’t even look like dogs, such as the raccoon dog in our last issue, which looks like a raccoon but is really a wild dog. The Alaskan malamute is a good family dog and likes children. 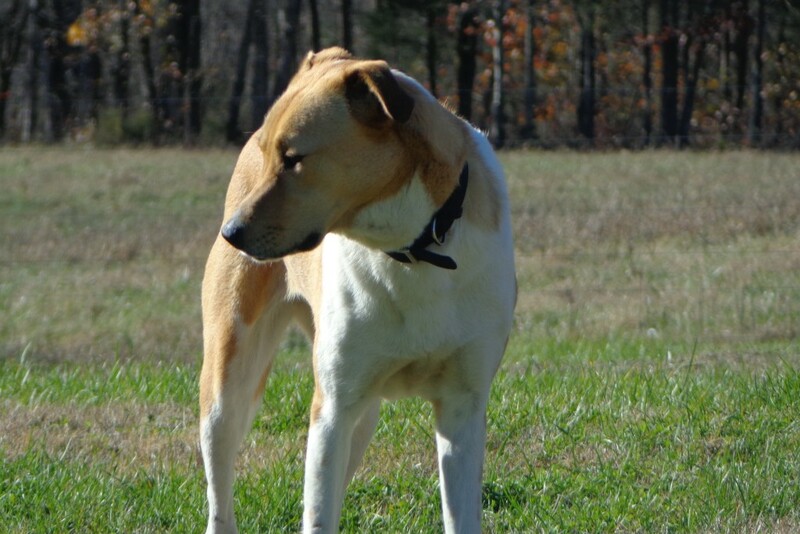 It is also a good house dog, nimble around furniture but does often chase little animals like cats, rabbits, and squirrels. 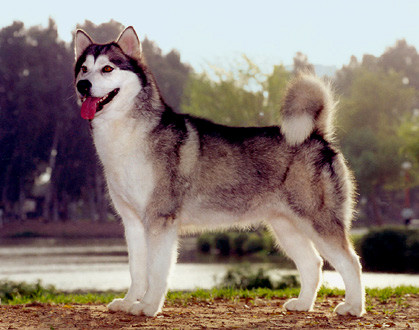 They are sometimes confused with Siberian huskies, but they are very different. They are hard to train, but are very smart. They look somewhat like wolves and are very strong, which makes them good sled dogs. 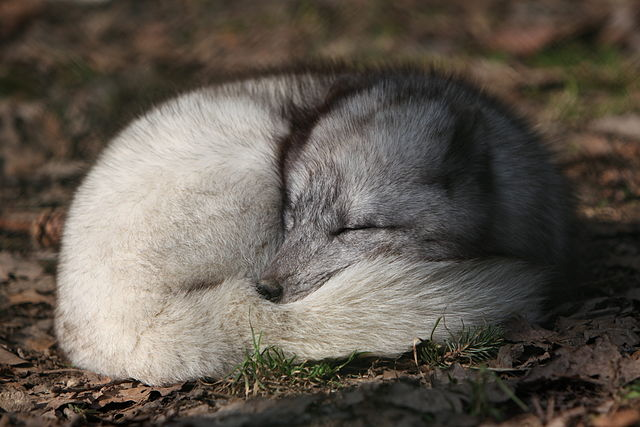 Arctic foxes live in freezing places, having thick fur to shelter them from the cold. Their fur changes color with the season. They have very good hearing and can even hear pray under the snow. The Arctic Fox has short legs and muzzle and short thick ears. Foxes some times form monogamous pairs in breeding season. They have about 5-8 kits that are brownish. Litters are born in early summer they are born in the den which is under ground. They often eat small animals and eggs, lots of eggs. 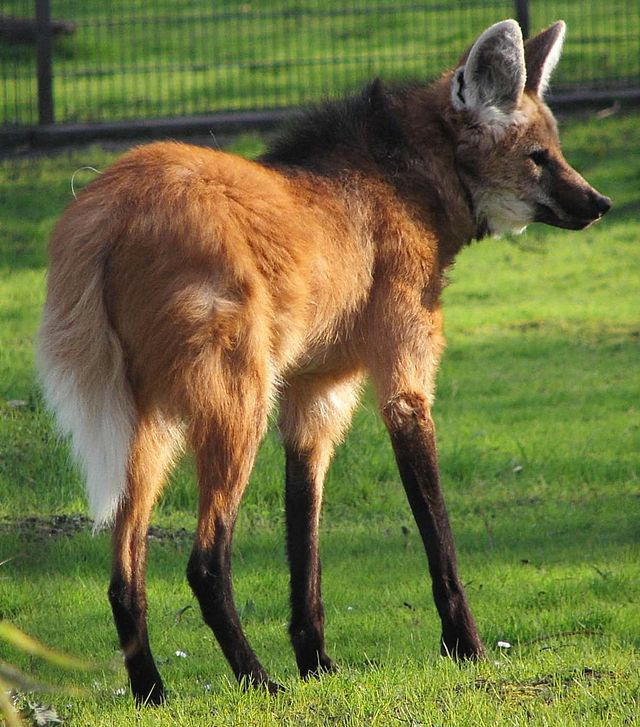 The maned wolf is the largest canid in North America. It is found in grasslands and looks like a red fox with long legs. They doe not make packs and they hunt alone, often at night. They have 2 to 6 black-furred pups in each litter. It eats small and medium-sized prey, rodents and birds, and even vegetables and it steals chickens. It is thought to threaten cattle and sheep but this is now known to be false. The fennec fox is found in Africa. It has ears that are usually large. 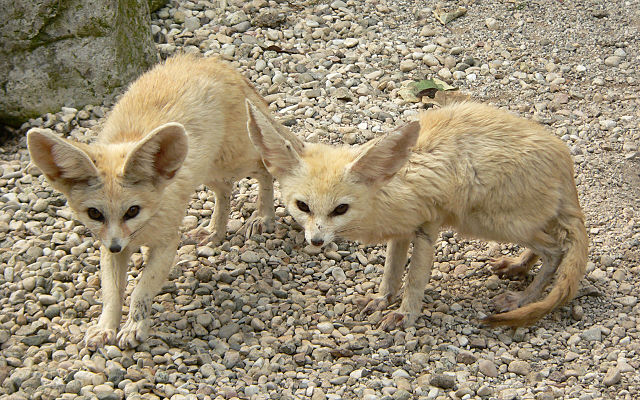 The fennec fox barks, yaps, and even purrs, and snarls when threatened. Even the adults often play. They breed for life and have 1-4 pups. They are many animals pray because they are so small. They eat rodents birds and eggs and are often kept as pets. Hello. My name is Violet Thorne and in this speech I will tell you about the history, conformation, temperament, appearance, condition, and fun facts of an interesting breed of meat goats called Kiko. The Kiko breed was developed in New Zealand. In the 1770’s, European settlers came with their British milk goats. Eventually, after some of the goats escaped or were released, they became feral. 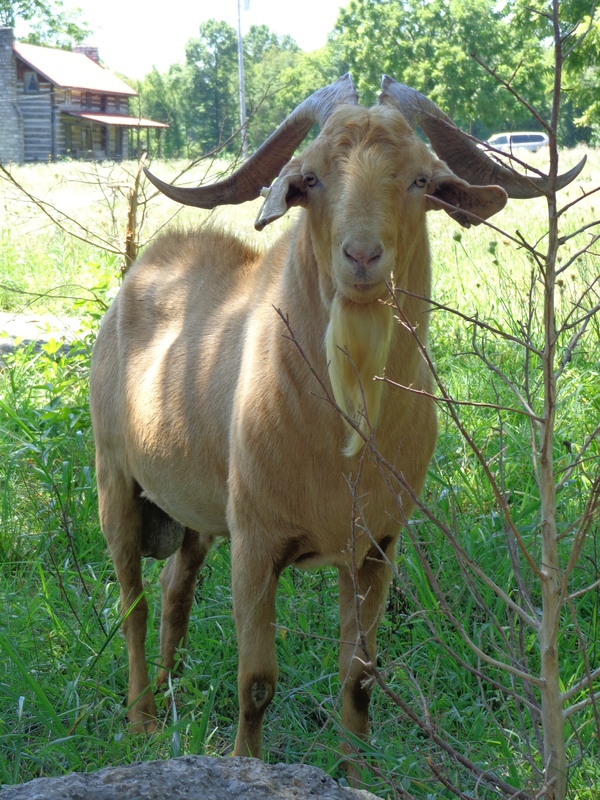 Later, in the 1980’s, good Nubian, Toggenburg, Saanen and possibly Alpine bucks were bred with some good feral does. After rigorous culling for excellent meat conformation and good milk production for quicker kid growth, the Kiko breed was created. When you are looking to get a Kiko goat, you need to consider conformation. First, look at the hooves. They should be strong and sturdy with little need for clipping. Next, look at the hind legs. When looking from the back, they should not turn in and they should be wide apart. Also, if you look from the side, the legs should not tuck up under or go out behind the animal. The front legs should be straight and far apart. Your goat’s body should be deep, long, and broad in the front and rear. It also needs a straight back and a wide rib cage. Bucks ought to have masculine heads, which means that they should be shaped like a wedge. Bucks should also have thick necks. Does should have feminine, heads which means more delicate and refined than the bucks. Both bucks and does should be strongly muscled. How do you know when you are buying a Kiko goat if it is in good condition and is eating enough? Thin goats are not a good choice. There are some things you can look at. First, look at the shoulder, and be sure that it does not jut out when the animal walks. Next, run your hand over the ribs to feel if they have a layer of fat. Then hold your hand around the brisket where you should not feel just bone but some muscle too. Also, your goat’s hair should be smooth. If the ends are turned up, it might be copper deficient. Kikos do not tend to make very good pets, probably due to their coming from feral stock. And Kiko bucks have a bold temperament. Kiko goats have medium to large ears that tilt forward. 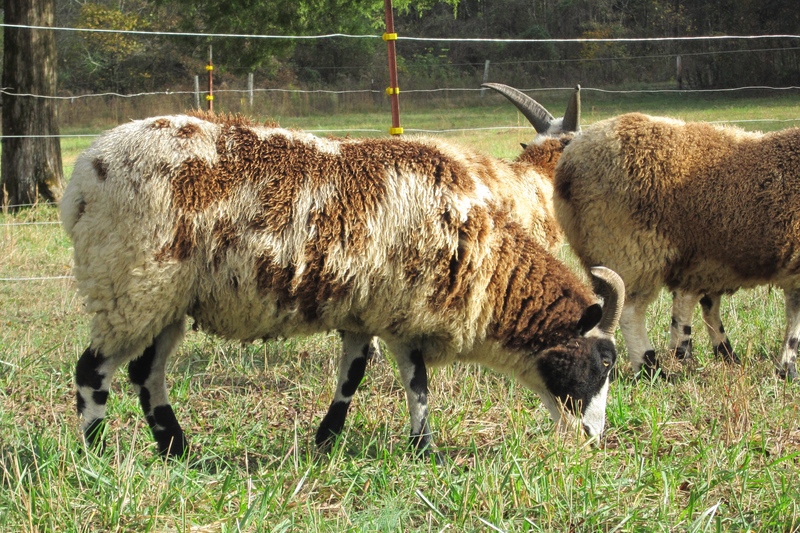 The goats are most often white, but they can come in many solid colors and patterns such as Alpine or Toggenburg markings as a throwback to their original stock. Bucks have substantial horns and large beards and does usually have smaller horns and beards. Some animals can even exhibit wattles, those little dangles of skin on their neck. Did you know that Kikos out-produce Boers? In tests, 50% Kiko wethers gained weight on the same food faster than 75% Boer wethers. And in Maori the word Kiko really means meat or flesh. Some people mix Kikos with Boers or dairy goats to increase their goat’s meat production and resistance to parasites. The Kiko breed is best known for its very high resistance to internal parasites, especially in the humid south, excellent mothering skills, and good hoof rot resistance. Kikos also do well on less than ideal conditions and forage only and have high fertility, usually birthing twins in their first year. Every one that milks goats has at some time had milk that tasted, well, goaty. Have you ever wondered why your milk tasted that way? Well, in this article I will strive to answer your questions about goaty milk. Very old milk will almost always taste goaty, but if your milk is new, then it could be your equipment. Always keep your equipment very clean, and this can go a long way to avoiding off-tasting milk. But sometimes no mater how clean your equipment is, you can still have off-tasting milk. Check what your doe is eating, things like wild onions, garlic, silage, and honeysuckle may give an off-taste to your milk; avoid such feeds 2-4 hours before milking. Another thing that may affect the taste of your milk is how quickly you cool your milk after milking. The temperature should be under 45 degrees in the first hour. If nothing else works your goat could be B12 deficient, or it could be the breed of goat you have. Nubians are known to have very good milk where as toggenburgs have a reputation for having stronger tasting milk. In some rare cases, it could just be your individual goat. If you do have goaty milk, and you are wondering what you can do with it, here are some that you can us it. Cooking is a way that you can use milk that is not too goaty, but, lotions, crafts, and soap, these are just a few ways to use goaty milk, but it is always better to start with not goaty milk. Leaves are falling. The wind has a little bite to it. It’s dark when we eat dinner. Thanksgiving is in the air. Pumpkin pie, turkey, ham, and cranberries are all very important parts of this holiday here on Our Father’s Gift Farm. But most important part of this holiday is giving thanks to God.